“We’re from the government and we’re here to help,” has been a halfway sarcastic pun for years, but it seems like some of those government folks are taking notice of the importance of getting out of D.C.
By listening to what the grassroots people across the country are saying, maybe they can bring some of that commonsense approach to life back to our capitol. United States Secretary of Agriculture Sonny Perdue has now made several visits to Tennessee farms since his appointment to USDA, and each time he has made a point to sit down with farmers and listen to what issues are affecting them, what regulations are most burdensome and what concerns they have for their future viability. One of Secretary Perdue’s visits was to West Tennessee’s Haywood County and the farm of Richard Jameson. Jameson had more than 150 farmers from the surrounding areas gathered at his farm shop to listen, ask questions and talk with the Secretary. “To have the Secretary of Agriculture come to my farm shop here in Haywood County on this beautiful day – it was just great. You could see his sincerity. He answered our questions directly,” said Jameson. Having people in positions of power make the effort to come to the farm means a lot to everyone, and wanting to listen instead of regulate or enforce means even more. For too many years it has seemed like bureaucratic Washington just handed down mandates, legislation and laws without caring how it affected the everyday people who had to follow those burdensome regulations or face penalties and fines. Secretary Perdue said many times that his job is out with the people, finding out what truly is happening out in farm country and that way USDA can have their finger on the pulse of the country. “Farmers are resilient – they have had some tough times, but farmers are tougher. They keep getting up and I see optimism this spring – even in the face of low commodity prices, people have hope and faith that it is going to get better and I do as well,” said Perdue. 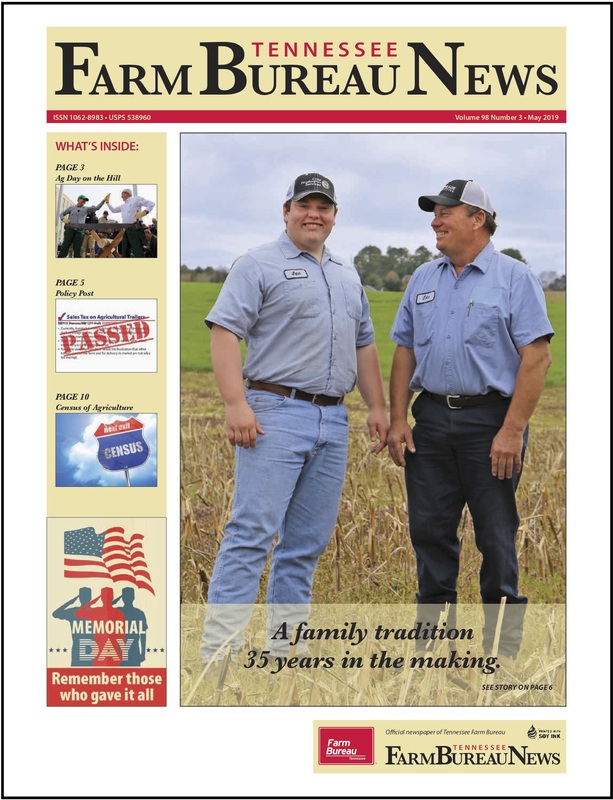 For Weakley County Farm Bureau President Ben Moore, having Secretary Perdue on a farm, especially in Tennessee, showed his character and willingness to make a positive impact, “It does make a big difference. When you come out to the farm you will remember a whole lot more about what you were talking about, and I think that will hold true to Secretary Perdue coming out to this farm in West Tennessee today,” said Moore. On another trip to Tennessee, Secretary Perdue came to Nashville and the Tennessee Department of Agriculture’s grounds. He had a round table discussion with a select group of farmers that represented Middle Tennessee commodities over lunch and toured the campus and facilities of TDA. One of the places he toured that day was Cul2vate, a program that is housed on TDA’s property. Cul2vate seeks to engage poverty at the point of hunger and deliver nutritional food to those who are hungry. They “strive to provide for the nourishment of the body and the soul while providing an opportunity for future full-time employment for our farmers via life and business skills training.” They do that by growing and delivering fresh, local produce to those in need, and offering those in need a second chance through job readiness, life skills, and business training with the goal of helping them find full-time employment at the end of their journey. Secretary Perdue was so moved by the team of people working at Cul2vate the day he visited, and the stories they shared of their journey, he asked if he could pray for them, and became very emotional during the prayer as he praised God for their willingness to work, make a change and prayed for their future endeavors. Being a part of that moment was a special one for everyone present. 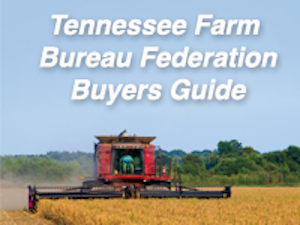 His next visit to Tennessee was as part of a Tax Day event where he discussed the historic Tax Reform passed by Congress and many other issues effecting Tennessee farmers with Farm Bureau and Co-op leaders in East Tennessee’s Knox County at their local Co-op. Secretary Perdue spoke about many of the issues affecting farmers right now and spoke frankly about what was being done. “There is hurting out here – farmers are hurting and they don’t want to be the only soldiers in this trade battle. The President is committed that they’re not going to be, but nonetheless there is anxiety – over dairy, over tobacco markets. We are going to do everything we can to help find the markets and sell these great products around the world,” said Perdue. Farmers at the event took heart in the fact that Perdue was an actual farmer himself and understood their issues. “One thing, he has been a farmer, he’s had his boots dirty and had dirt under his fingernails like all the rest of us have, and I think he has our interests at heart, said Blount County farmer John Keller. He said he was concerned about the farm economy, which is down more than 50 percent over the last few years, but was still hopeful and optimistic that it will turn around soon. Monroe County farmer Jerry Barr echoed Keller’s concerns, but said hearing from Perdue himself alleviated some of those worries. “To have the person behind the position he is in reiterate that he has our back, and that some of the things we are hearing aren’t necessarily for the reasons we are hearing them; that there are more things going on behind the scenes that we realize – that is really good to hear,” said Barr. So perhaps this new outlook of looking to and listening to the folks who actually have to carry out the rules and regulations will continue with USDA and Secretary Sonny Perdue…or maybe they are just finally realizing our ancestors had it right to begin with. “Agriculture is now, as it’s always been, the basis of civilization. The…farms of the United States…form the basis of all other achievements of the American people, and are more fruitful than all their other resources,” – President Theodore Roosevelt. Here is to more Washington leaders getting out of their offices and listening to the people who are the basis of this country. 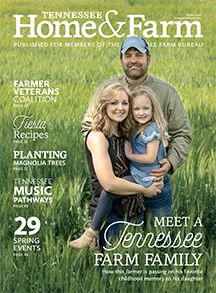 Check out this article and more pictures in our May 2018 issue of the TN Farm Bureau News.